The Divorce Surgery is unique. We offer a brand new model, founded on the principle that with equal access to top quality, impartial legal advice couples will be empowered to resolve their differences quickly, fairly and with the least conflict. Samantha Woodham and Harry Gates are both family law barristers at a leading set of chambers, 4 Paper Buildings. Between them they have over 25 years experience dealing with countless couples in dispute over their finances and their children. This gives Samantha and Harry a clear perspective on the drawbacks of adversarial litigation for families. Whilst for some couples court intervention is the only solution, Samantha and Harry were determined to find a better way, which encouraged couples to resolve their disputes, with legal advice, together, at the earliest stage in a non-adversarial, confidential and dignified way. We are dedicated to improving access to justice, and 1% of The Divorce Surgery's profits are donated to charitable causes with this aim. Samantha Woodham and Harry Gates are the founders of The Divorce Surgery. Samantha Woodham has practised family law as a barrister for over a decade, advising couples as to the finances and arrangements for their children on family breakdown. She has represented high profile and high net worth clients. Samantha started her legal career at Freshfields Bruckhaus Deringer qualifying as a solicitor in 2004. She is a trained collaborative lawyer and mediator, and ranked as a leading individual in her field in both The Legal 500 and Chambers and Partners. Harry Gates has been a practising family law barrister for over 15 years focusing on the financial consequences of relationship breakdown. He has significant experience dealing with complex corporate, tax and offshore structures. Harry was called to the Bar in 2001. He is a trained collaborative lawyer and mediator, and ranked as a leading individual in his field in both The Legal 500 and Chambers and Partners. The Divorce Surgery's team of barristers includes some of the leading family law specialists from across the profession. We will ensure that the correct level of expertise and experience is offered to you, depending on your individual circumstances, up to and including Queen’s Counsel. 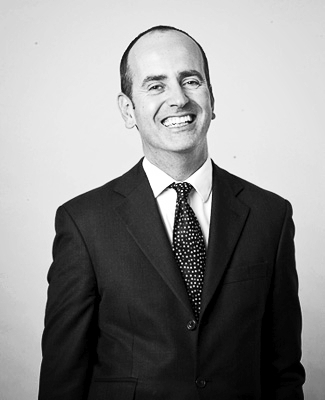 Alex Verdan QC is one of the leading family law barristers of his generation. He is ranked in tier 1 by all the legal directories. He was appointed a Deputy High Court Judge in 2009. He has previously served as a member of the Bar Standards Board Conduct Committee, the Centre for Child and Family Law Reform and the Family Law Bar Association Committee. Charles Hale QC was appointed as Queens Counsel in 2014 and is a leading family barrister. He is highly regarded by all the legal directories, including The Legal 500 and Chambers and Partners. He was Called to the Bar in 1994. He was an elected member of the Bar Council of England and Wales 2002-2012 and he is also a qualified Arbitrator. Michael Reeves is the Senior Clerk of 4 Paper Buildings, with a long career focused on client service, management of clerks and ultimately for a smooth client journey.